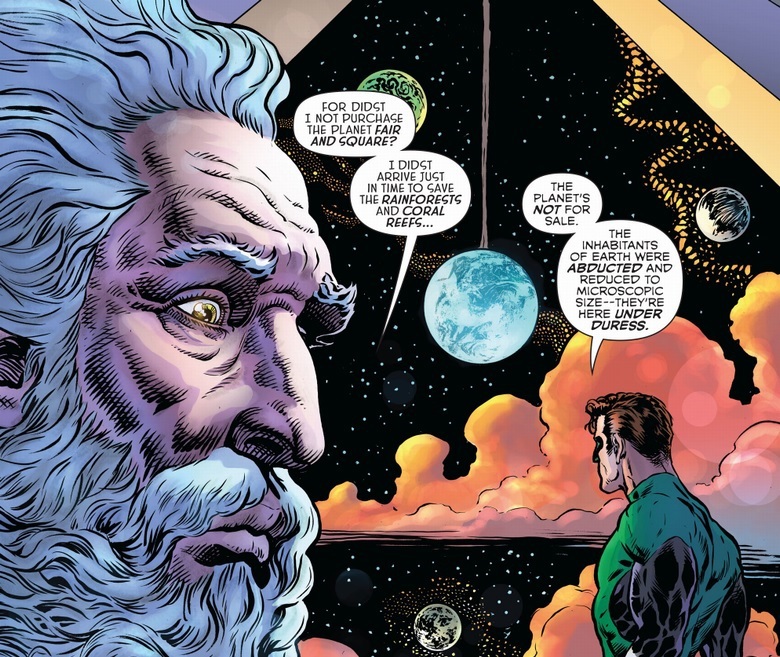 scans_daily | The Green Lantern #3 - "Slave Lords of the Stars"
Well, it's good that the murderer who just executed an incarcerated suspect isn't traumatized. This one feels a little out of context. The Dhorian's "all is merchandise" comment isn't referring to the Earth, which has been retrieved without any appreciable harm to it, but to about two dozen child laborers who have been enslaved and gradually poisoned on a slave-ship. 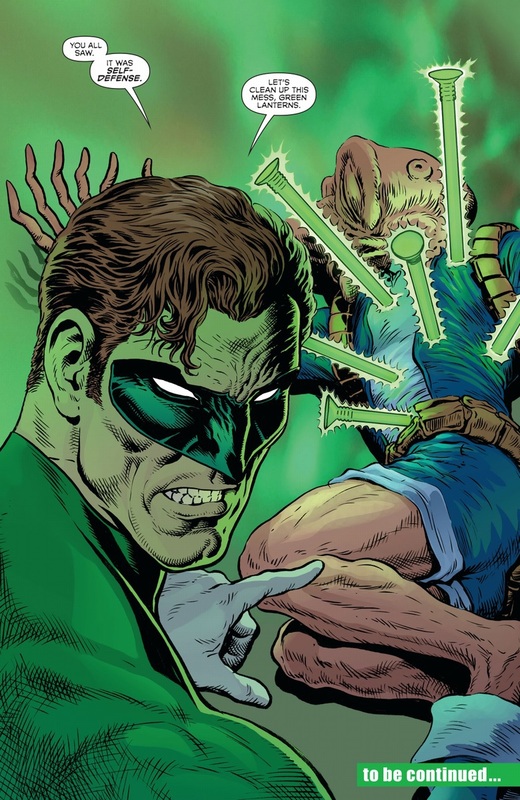 I can identify a lot more with Hal for that: who hasn't seen some sickening human-rights abuse on the news and wished for the power to right it? The way the Dhorian talks, there might indeed have been a chance for him to go unpunished under Prime Directive law. 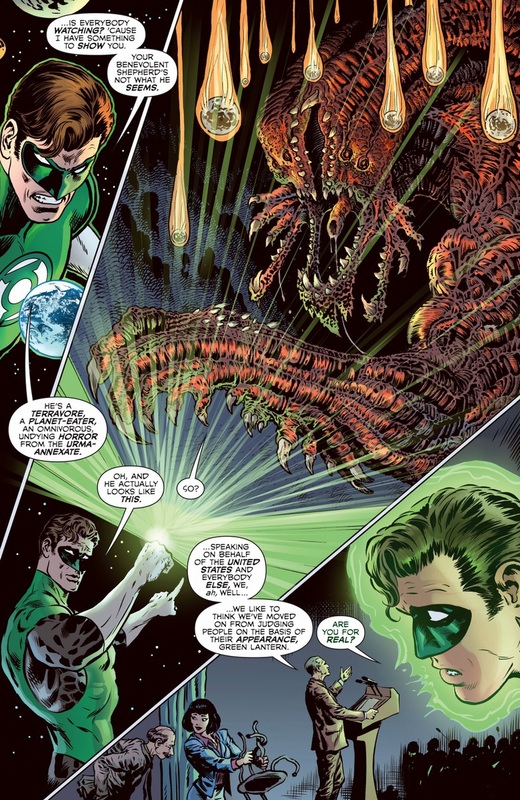 I can see why Hal does what he does and shed no tears for his victim. 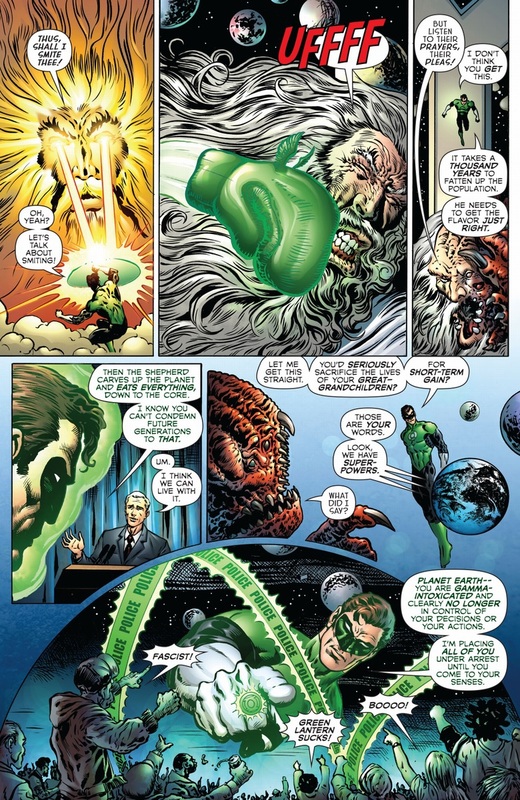 That said, I refuse to believe Morrison doesn't know how it looks in the late 2010s to have Hal, old-fashioned "beat cop of the cosmos," execute somebody without trial and immediately try to amend the record of it. (He might as well have shouted "STOP RESISTING! STOP RESISTING!" as the first and second nail penetrated the Dhorian's body.) This will have consequences. Even by Morrison standards, this is an insanely busy comic. The entire Earth shrunken and stolen, then experiencing widespread catastrophe, then everyone has been brainwashed and given superpowers. 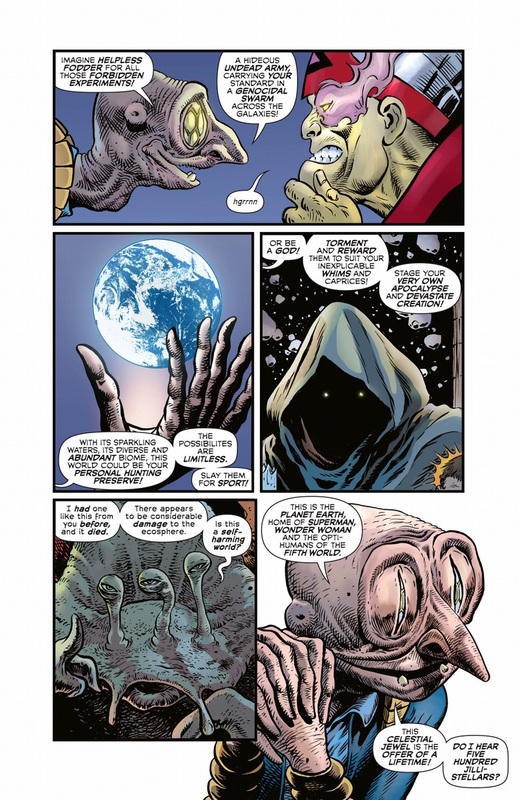 A cosmic auction. A planet-eating Christian God impersonator. 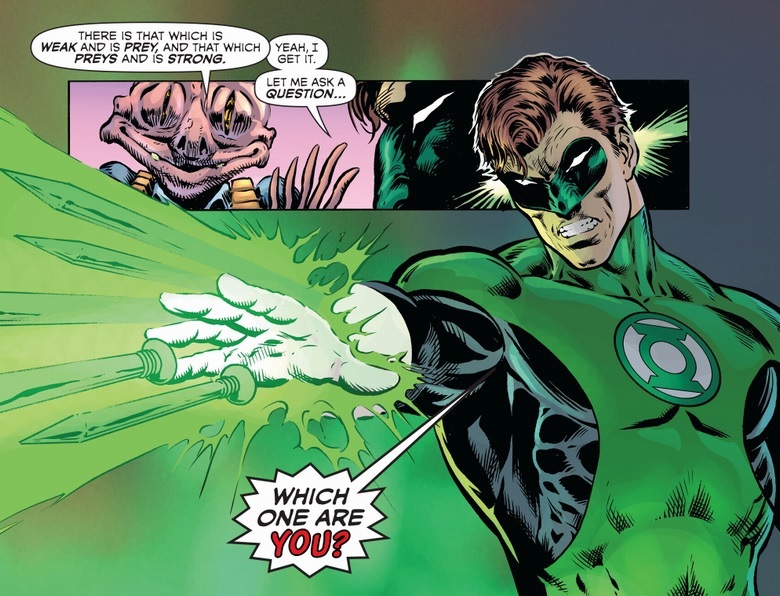 Hal Jordan seemingly murdering a suspect. And then you have all the little details. An amazingly creepy auctioneer. A boxing glove with angel wings. 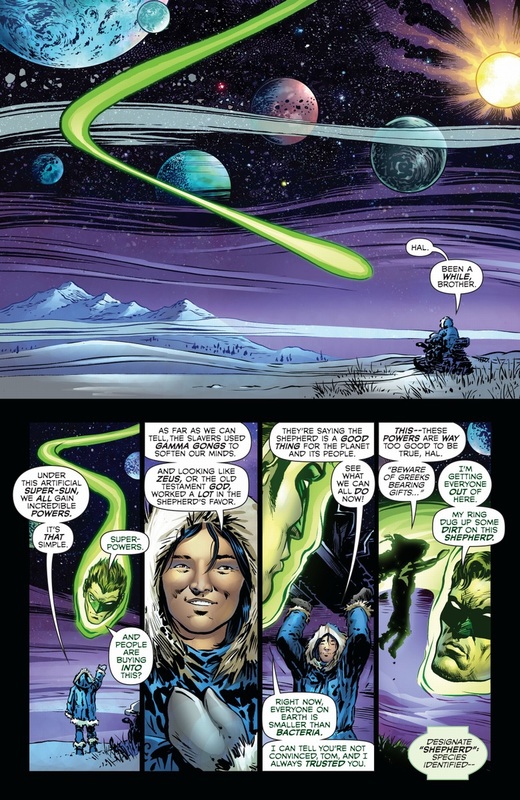 Dominators dissing Steppenwolf. 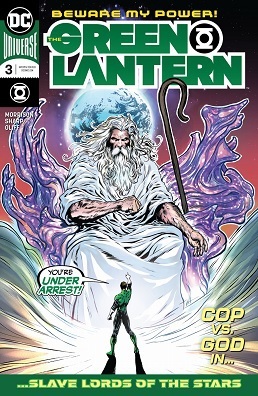 There's enough in here for a mega-crossover, and it's one issue. It's utterly crazy and I like it. 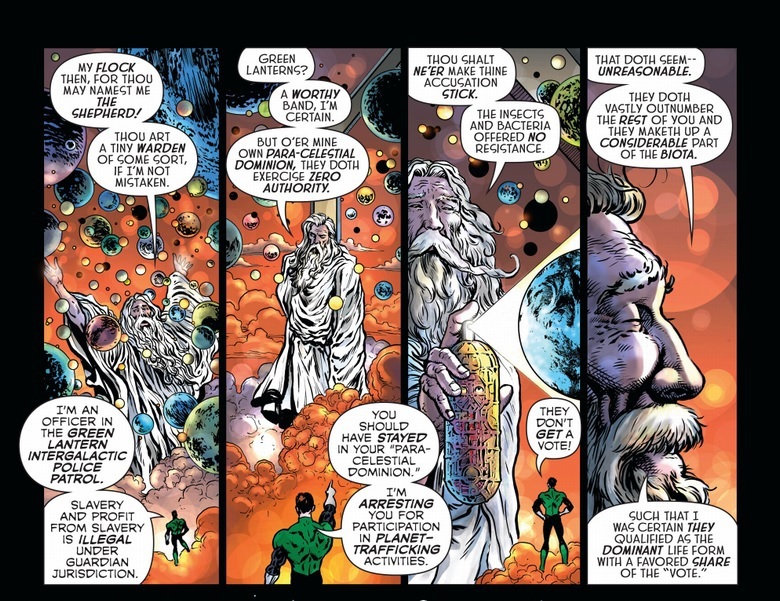 There is a Green Lantern whose head is an erupting volcano. 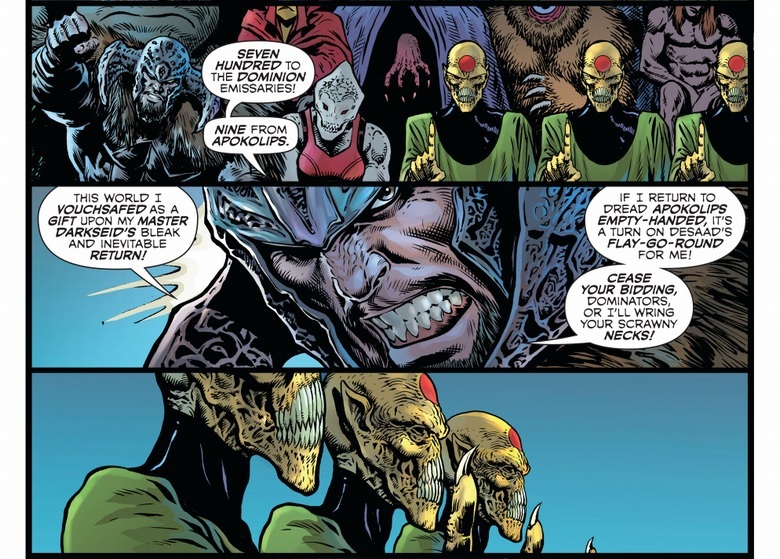 Something I noticed is that the lizardman Blackstar hisses his Ss, but there's a GL who's clearly the same species, and she can talk just fine. Makes me wonder if the guy has a speech impediment. I know it's probably a Trump/Brexit/climate change allegory, but I thought the DCU citizens were supposed to be better than that.